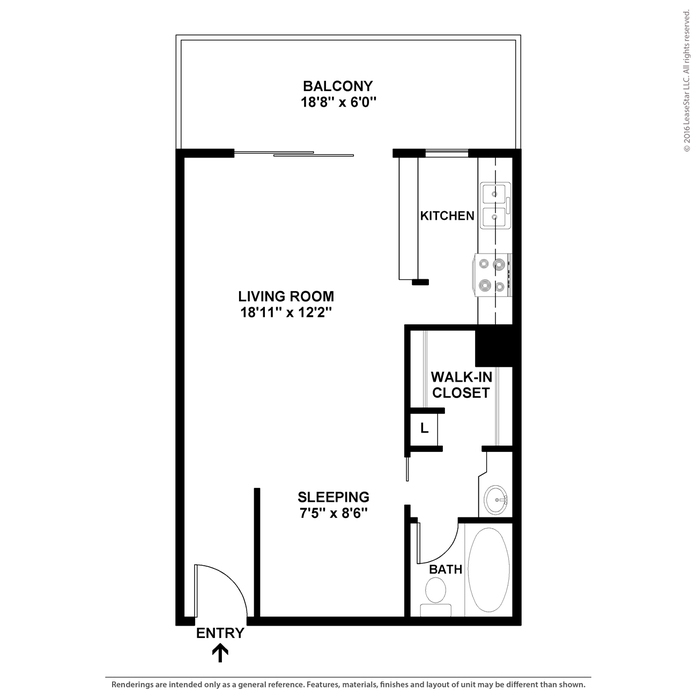 Galley kitchen with stove, refrigerator, built-in microwave, walk-in closet with dressing area, large patio/balcony, corian vanity counter. 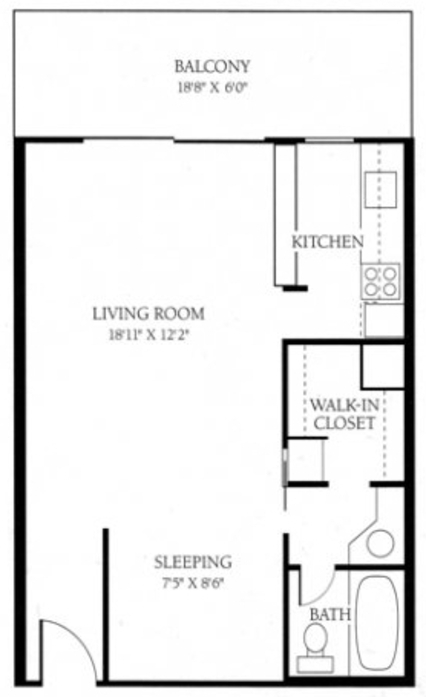 Separate sleeping area. 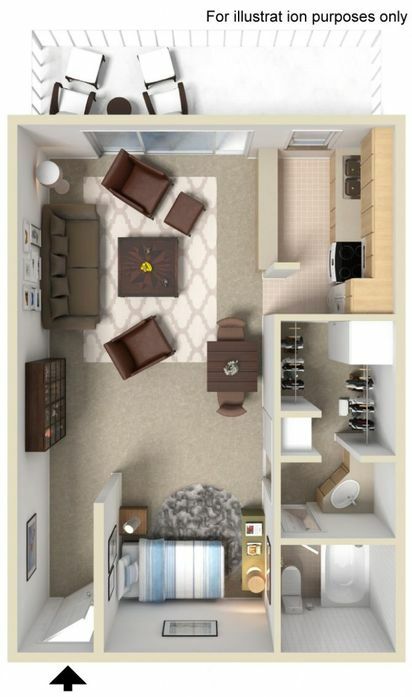 Corner kitchen with self-cleaning oven, refrigerator, built-in microwave and dishwasher; walk-in closet, mirrored closet doors, built-in dry bar, corian vanity counters, separate dining area, access to balcony/patio from bedroom and living room. 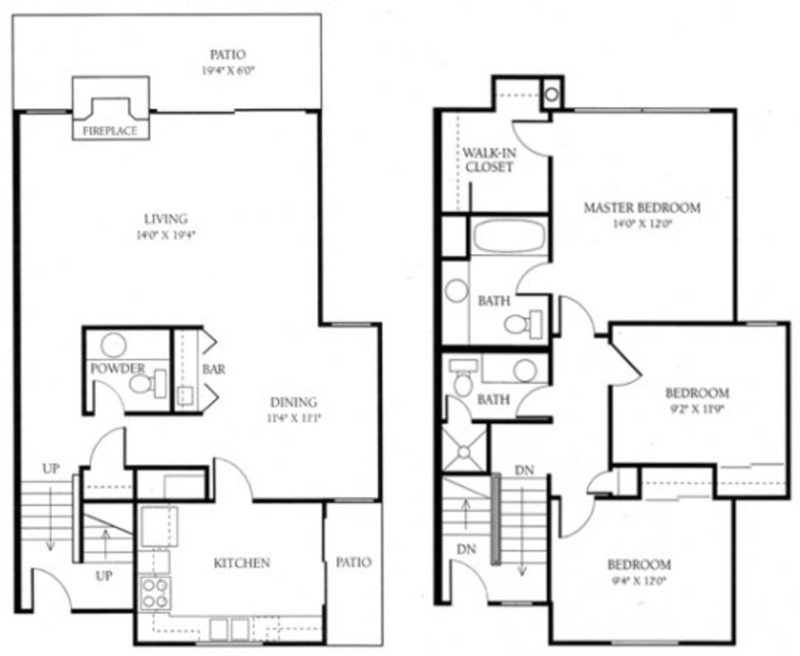 Open kitchen with self-cleaning oven, refrigerator, built-in microwave, dishwasher and bar seating; walk-in closet, mirrored closet doors, corian vanity counters, built-in bookcase in living room, private balcony/patio. 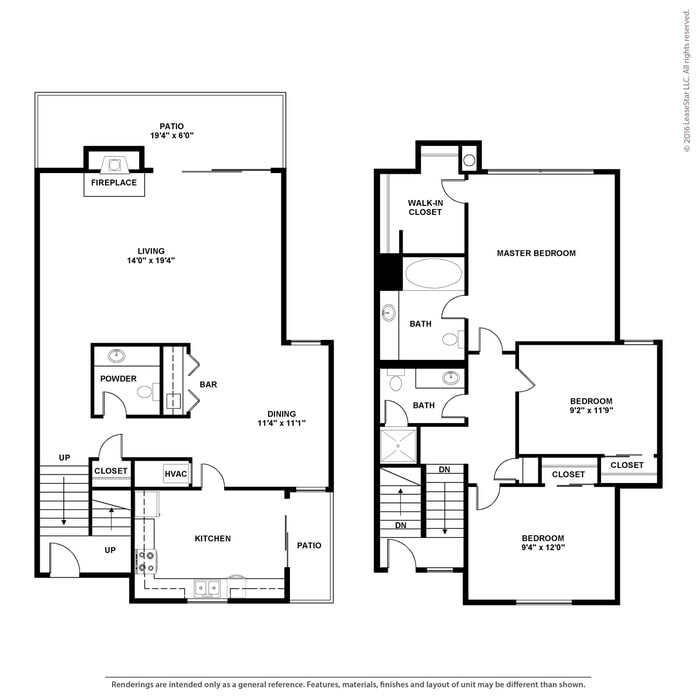 Pass-through Kitchen with bar seating, self-cleaning oven, refrigerator, built-in microwave, dishwasher; corian vanity counters, built-in bookcase, abundant closet space, large dressing/vanity area in master bedroom. 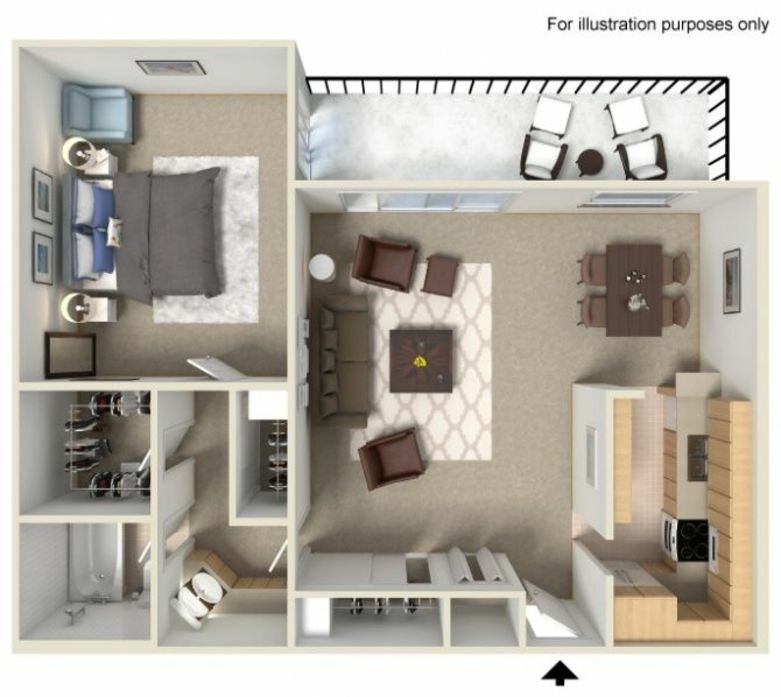 Perfect for those with lots of furniture. 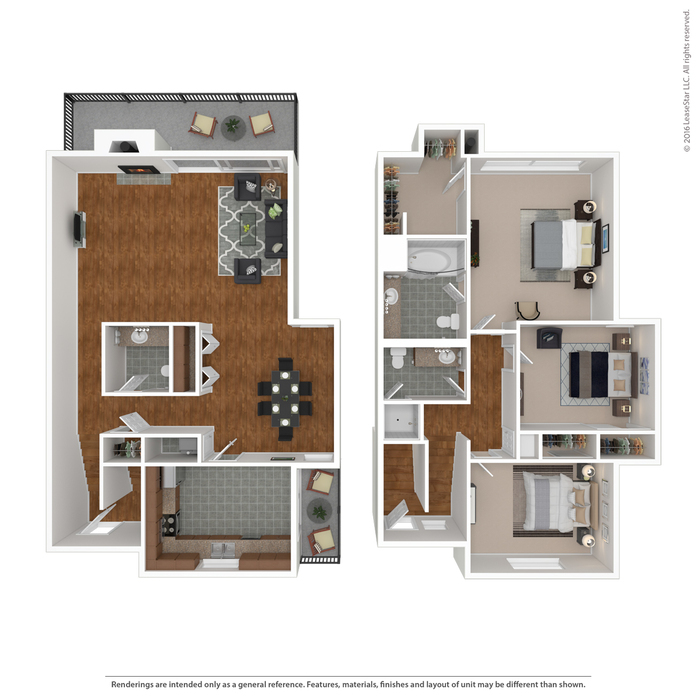 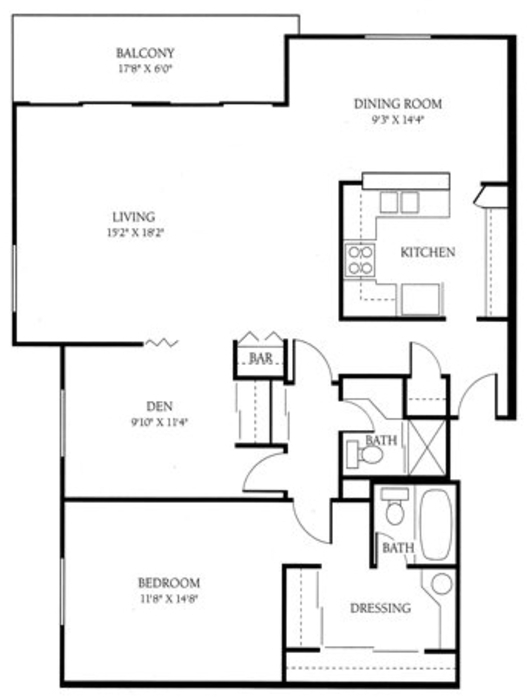 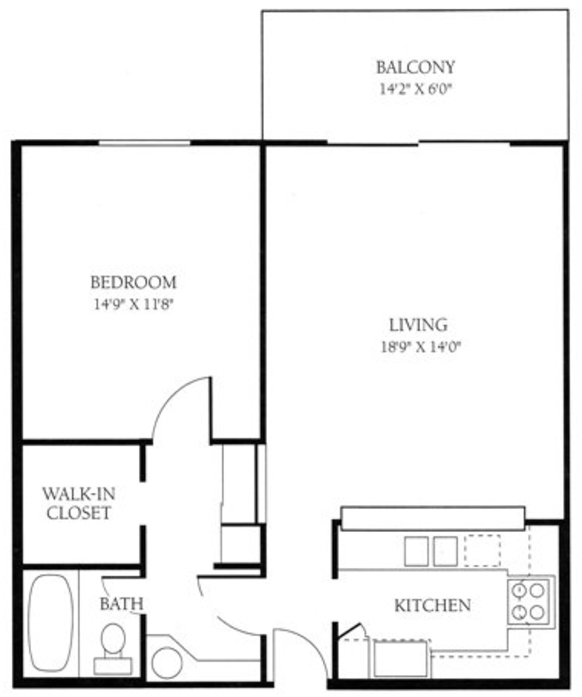 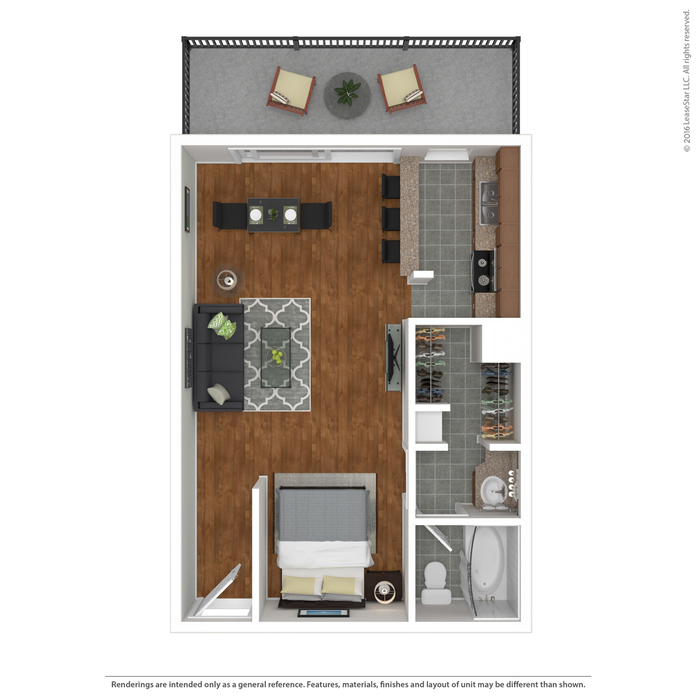 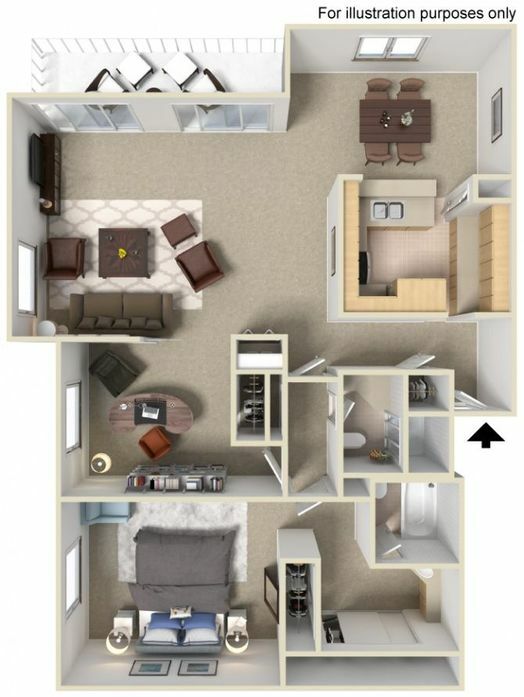 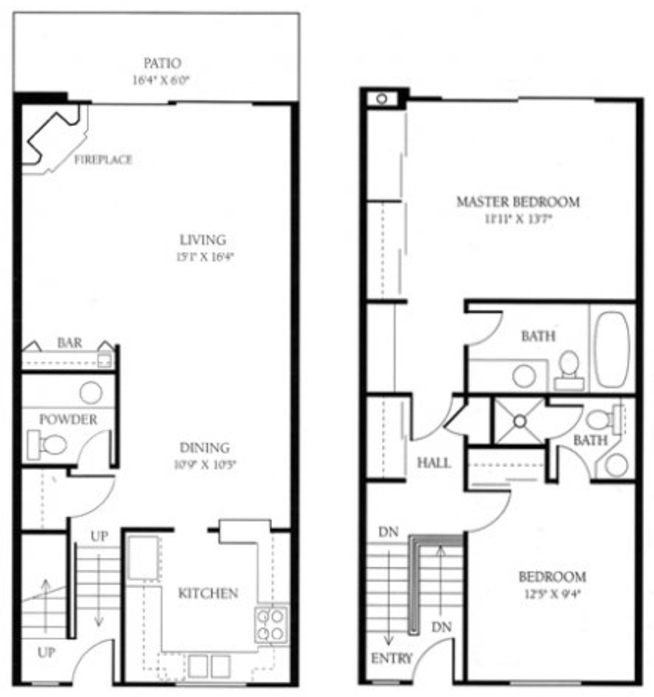 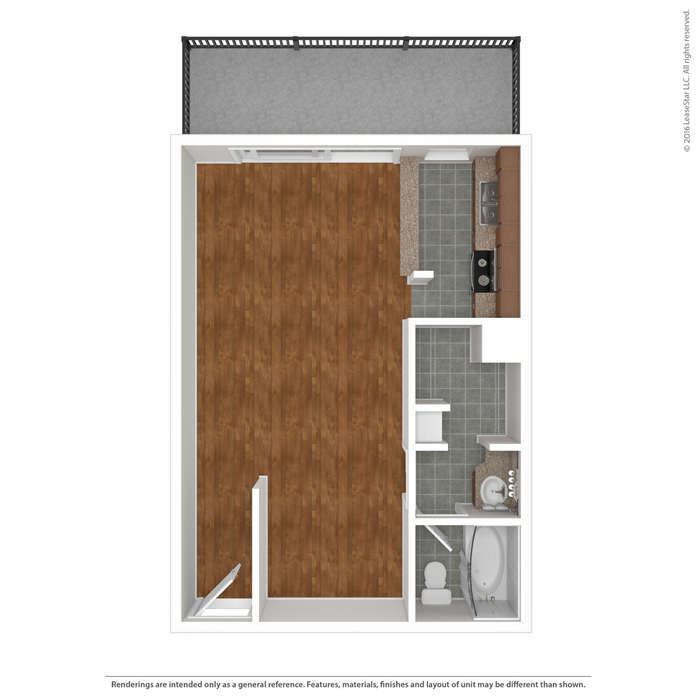 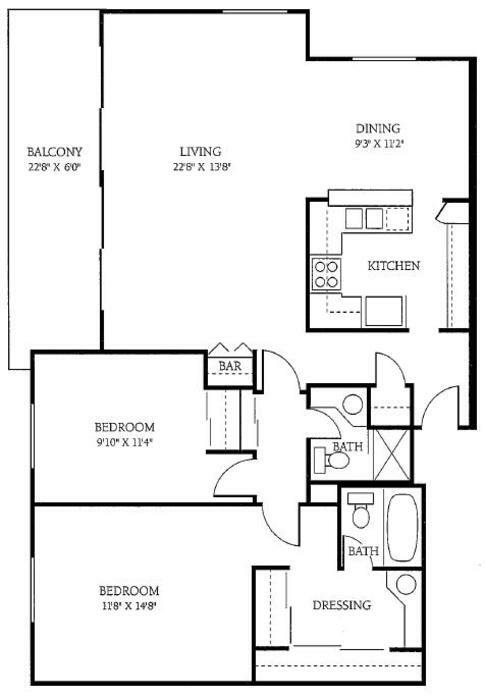 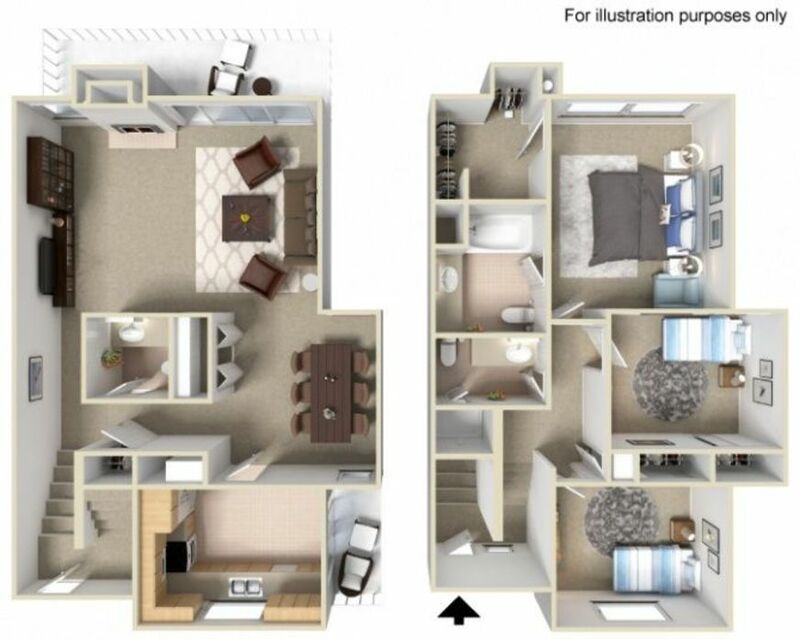 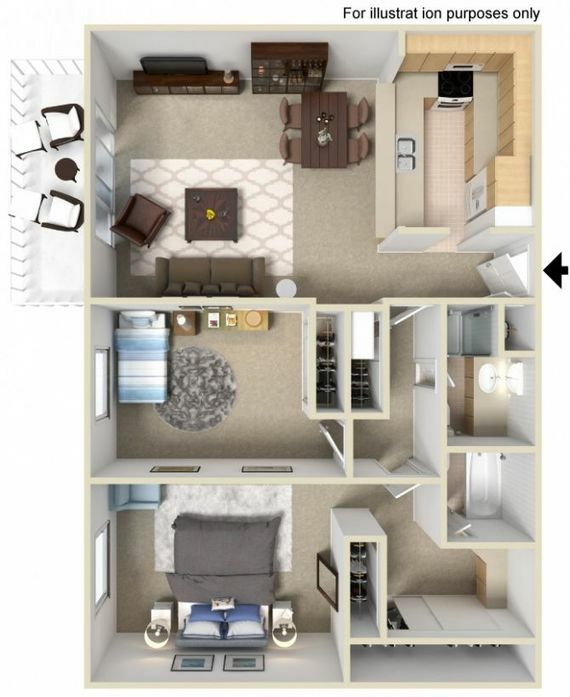 One bedroom den floor plan with large dressing area/vanity, abundant closet space, pass-through kitchen equipped with stove, refrigerator, built-in microwave and dishwasher, corian vanity counters, formal dining room, large private balcony/patio, built-in dry bar. 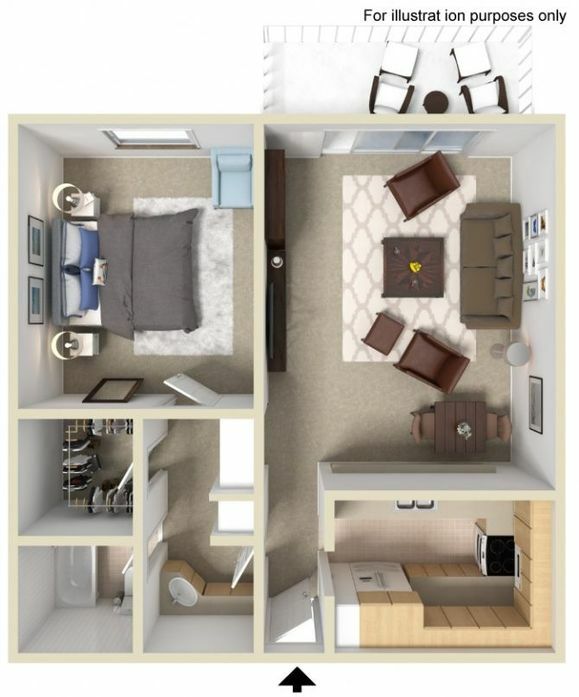 Perfect for those with lots of furniture. 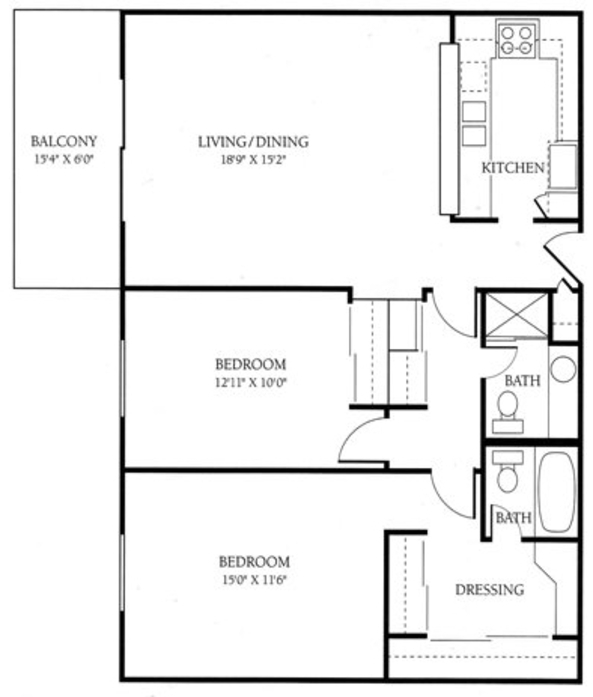 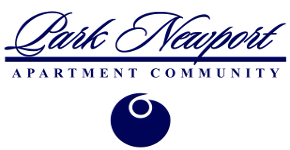 Pass-though kitchen equipped with stove, refrigerator, built-in microwave and dishwasher, formal dining room, dressing room/vanity, abundant closet space, built-in dry bar, corian vanity counters, large living room and private balcony/patio. 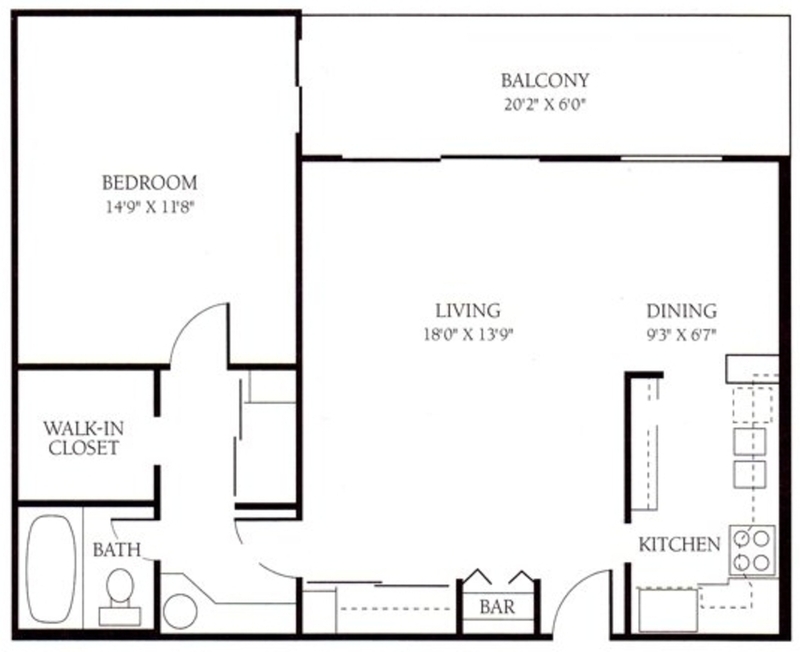 Like your own private home. 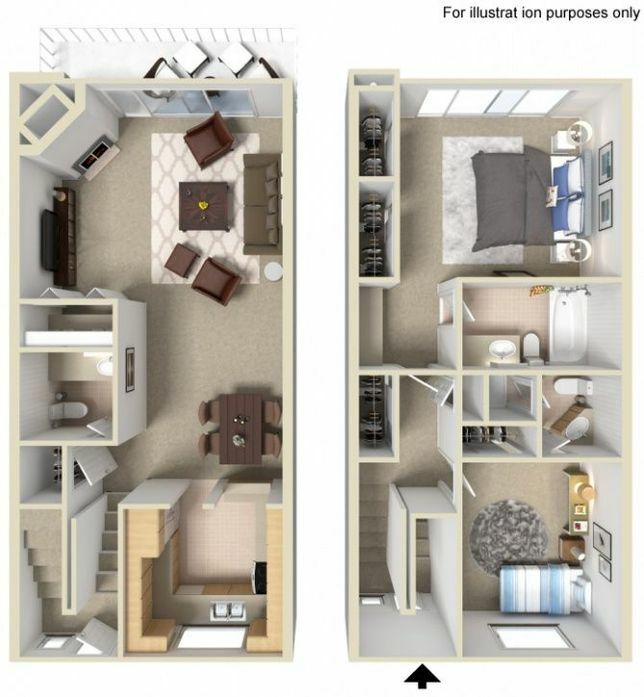 Private entrance, built-in wet bar, gas fireplace, corian counters throughout, mirrored closet doors, large kitchen with pantry, equipped with stove, refrigerator, built-in microwave and dishwasher, abundant closet space.